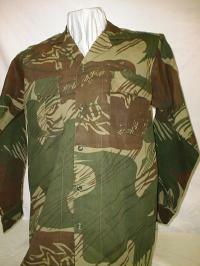 This Army pattern shirt is set on a tan / gray base color. 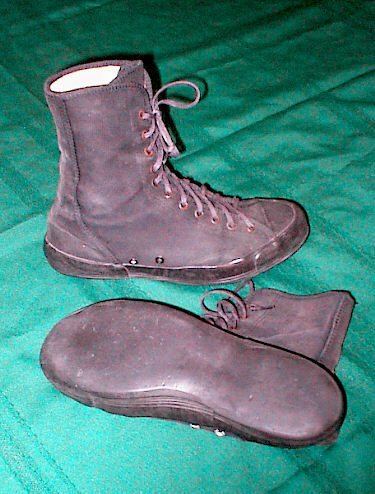 The material is a durable heavy weight. 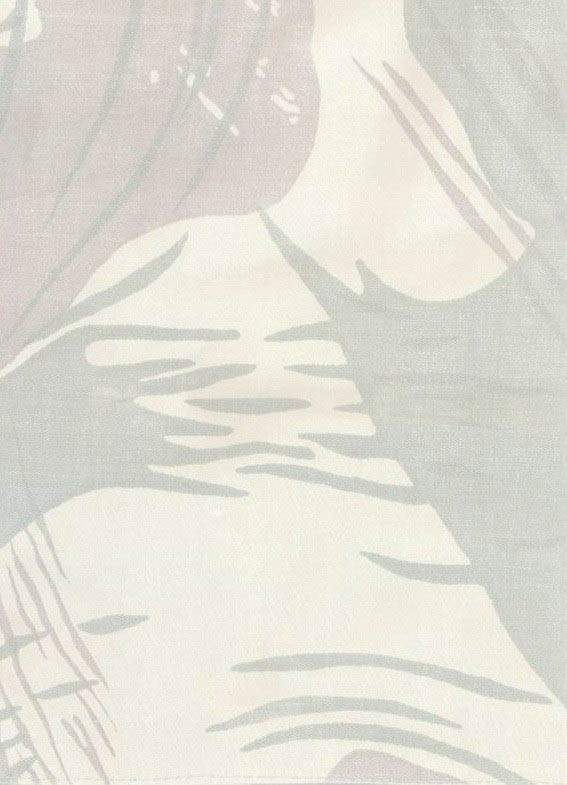 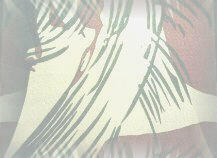 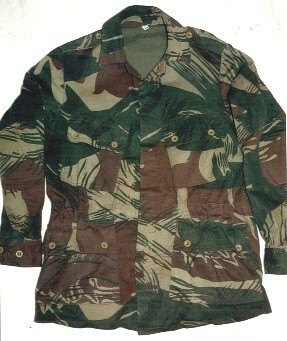 The camouflage pattern of the type II shirt consists of large patches of brown and green streaks on a mustard base. 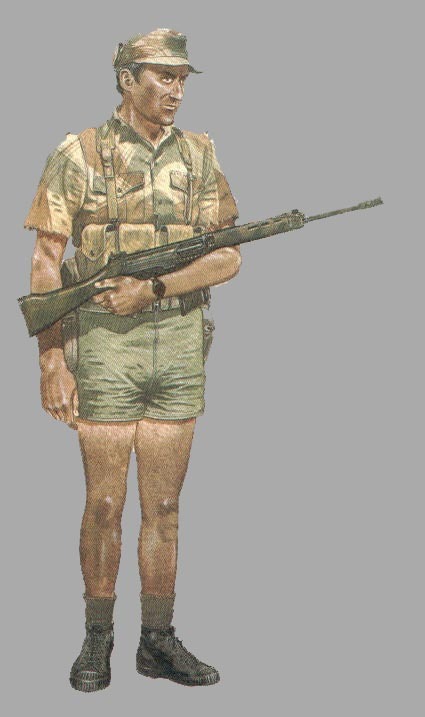 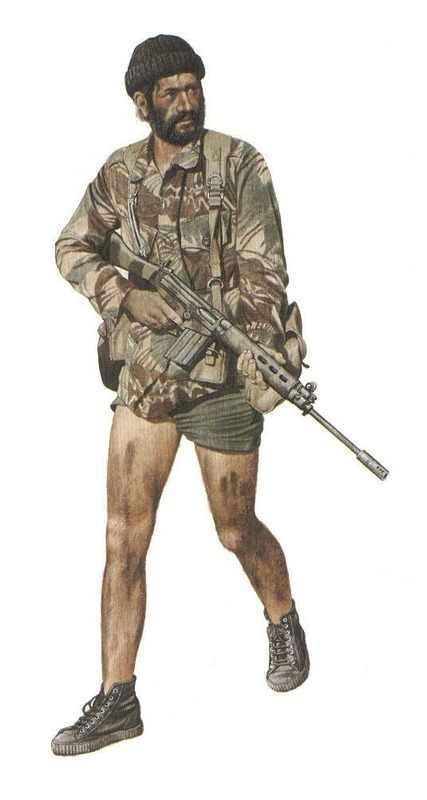 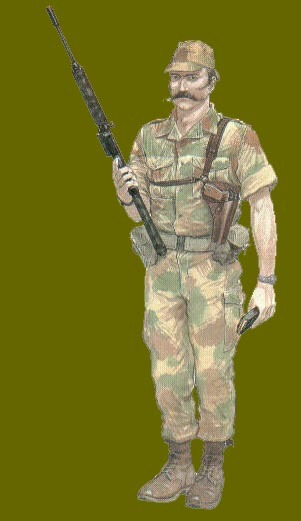 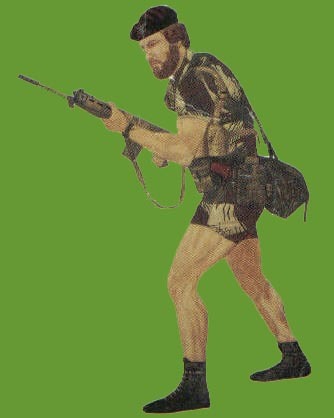 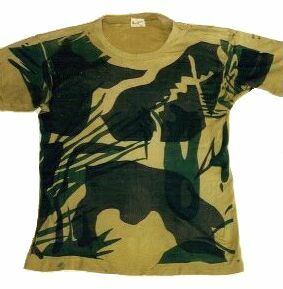 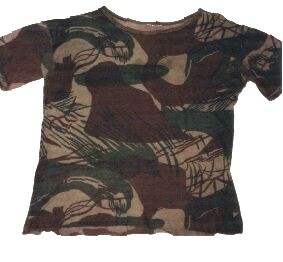 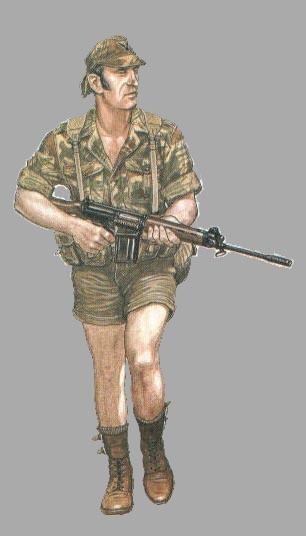 This was the Rhodesia Security Forces standard issue camouflage field jacket. 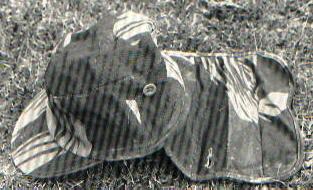 It was made from durable material, had padded elbows, four large pockets and pen / pencil ribs on the sleeve.